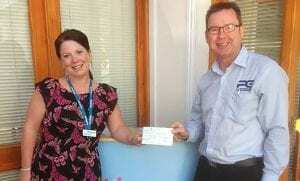 £50.00 raised for Exmouth and Lympstone Hospice Centre. A huge thanks to all who got involved in our “like share to win” service competition, with your help we were delighted to hand over a cheque for £50.00 to Lucy Hancock who is the fundraising and income generator for Exmouth and Lympstone Hospice Centre. During our visit to the hospice Lucy explained the many ways that the facility has benefited those in need of care and support, and that September celebrates 30 years of the Exmouth and Lympstone Hospice. Hat’s off to Lucy and all who offer their time and consideration to others when most needed. Lucy also kindly carried out our competition draw and the lucky winner will be announced on here after they have accepted the free voucher, keep watching to find out who?